We are located on the US & Canadian border near Cornwall, Ontario and Montreal, Quebec. Clean & dry warehouse space to store cargo. Unload and load trucks within our cross docking bays for easy transfer of shipments between trucks. Henophy Trucking & Henophy Logistics is situated in Massena, NY, close to the main border locations of Ontario and Quebec, Canada. This central location allows us to offer our valued clients high-quality logistic services in a strategic position. We are also located close by to a rail line and will be able to offer freight management from truck to train in the future. Our reliable fleet of large trucks, vans & flatbed trailers allow us to offer our clients a wide range of diversified services. At Henophy Trucking & Henophy Logistics in addition to our fleet of trucks, flatbeds and van trailers we also have a large variety of logistics services, storage and loading facilities. We have an extremely large and clean 19,000 square foot 12 door loading dock. 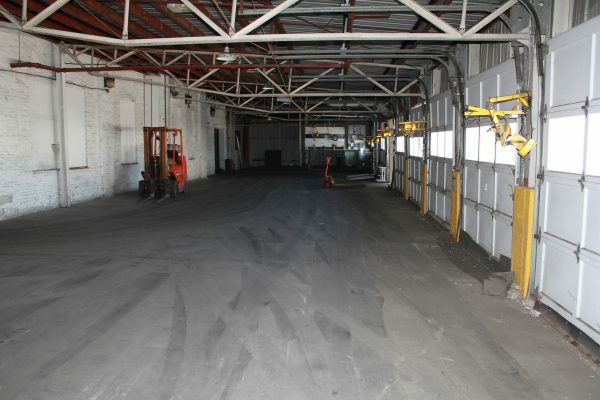 This large loading dock is fully equipped with forklifts and offers easy loading and unloading. We also have an 8,000 square foot equipment and maintenance shop which is perfect for truck maintenance and servicing. To complement our storage and loading facilities, we also have a 2,500 square foot specialty heated storage and 5,000 square feet of dry cold storage with indoor unloading capabilities. We make cross-docking, storage, loading and unloading quick and easy with our modern facilities. Don’t hesitate to contact our friendly and professional staff with any questions that you may have! Use the button below to find our quote form. We will respond back to you as soon as possible with your custom quote.